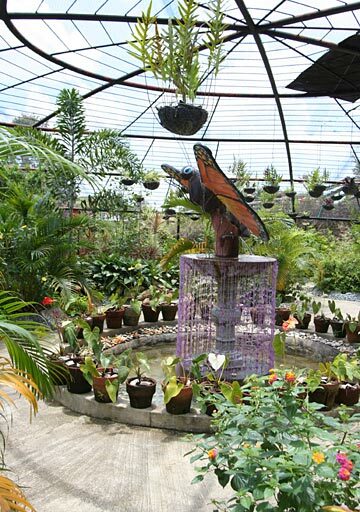 The butterfly dome in Sagbayan Peak, in Sagbayan, near Tubigon. Admission to Sagbayan Peak is 10 pesos, and then for the butterfly dome again 10 pesos. Inside are numerous butterflies, collected from the area, and bred inside the dome.